This is because, he said, a monopole mast has been approved for High Seal Houses in Arkengarthdale by a planning officer under delegated powers which will be solely for the use of the Emergency Services and can’t be shared with other mobile communications operators. At the April meeting of the YDNPA planning committee a planning officer recommended that the application for a lattice mast on Malham Moor, which could be shared with other suppliers, should be refused. He said that as it was part of the Home Office’s Emergency Services Mobile Communications Programme a monopole would be sufficient and have less impact on the landscape. YDNPA member Neil Swain, who acts as the landlord for the National Trust site on Malham Moor, had asked the committee to consider the application because, he said, mobile communications were at the very forefront of the needs of modern families and, therefore, a key element in trying to attract more families to live and work in the Park. The majority of the committee approved the application because, as two said, the lattice mast will be strong enough to be shared with commercial operators and will not have a significant impact upon the landscape. Following that meeting Cllr Blackie hopes that it is not too late to reappraise the decision regarding the mast at High Seal Houses in Arkengarthdale. He has pointed out that in Keld and Langthwaite there is not only no mobile phone service but no terrestrial TV or radio signal either. When BT installed Fibre to the Premises (FTTP) to Keld in late 2017 it refused to put Angram on the circuit even though the fibre cable passes through it, nor will all properties in Keld be offered FTTP. He added that in Langthwaite’s telephone exchange the aluminium underground wiring was so worn out that it was unfit for purpose and unsuitable for broadband via Fibre to the Cabinet. A resident there who lives 100 yards or so from the Dale road was quoted £29,000 by BT to be provided with a telephone line, he said. He noted that the lack of such 21st century communications facilities means that primary and secondary school children cannot work at home on homework that requires them to have access to the internet; and that farmers cannot submit stock records and claims for subsidies online. The largest employers in the local economy in Keld and Langthwaite, he said, were the accommodation providers. But they are losing trade due to the lack of internet connection, both for making bookings and because their guests expect to be able to communicate with the outside world! “We have traditionally relied on a high loyalty factor…but the lack of modern communication provision is eroding this very important return visit source of business. It is especially important to visiting young families with children/teenagers to have a mobile phone service available so they can keep in touch with their friends whilst they are away on holiday,” Cllr Blackie added. He has strongly urged Arkengarthdale and Muker Parish Councils to contact Rishi Sunak MP as they had been assured by him that the new communications masts would be capable of being shared. 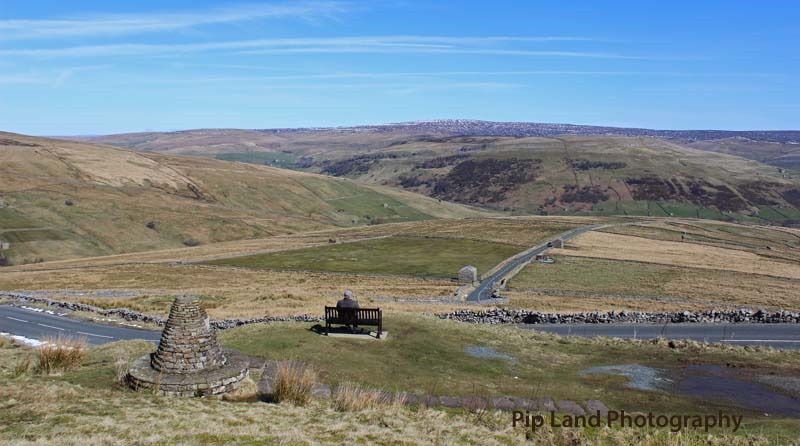 The two masts proposed for Upper Swaledale are at Crowtrees and Birkdale Common in Muker Parish. “Working together, and using the oxygen of publicity to highlight our plight, in six days we have turned monopole [telecommunication] masts, which will not accept any mobile service providers’ masts, into new planning applications by the Home Office for lattice masts that will accept equipment by all the mobile phone operators, should they wish to provide it. At least for the mast at High Seal Houses, Arkengarthdale, and Crow Trees near Muker. And there is every indication we can get the Home Office to change the application at Birkdale Common near Keld to a lattice mast,” North Yorks County Cllr John Blackieannounced today. He was in contact with Arkengarthdale Parish Council which contacted Richmond MP Rishi Sunak as he had promised last September that the new masts being commissioned by the Home Office to provide coverage for the emergency services could also be used by commercial operators to provide 4G and broadband services to such remote communities. Mr Sunak did take up the issue with the Home Office and the YDNPA and stated today: “In correspondence I had with the Minister last year, it was made clear to me that the company building the masts – EE – would be offering a commercial service given that the Government was meeting the cost of building the structures in the most remote rural areas like the Dales. Further, the design of the masts would facilitate their use by other mobile operators where possible and commercially viable. He said he would write to the YDNPA asking it to fully take into account the Home Office Minister’s guidance on mast shareability when considering any future mast applications. The YDNPA reported today that the Home Office had applied to build five telecommunications masts in some of the remotest parts of the national park as part of a new “Emergency Services Network” (ESN) to be built by EE. Those approved for Malham Moor and land off the B6255 in Widdale were for lattice masts which can be shared with commercial operators, unlike the “telegraph pole” mast approved for High Seal Houses. The applications for “telegraph pole” masts on Birkdale Common west of Keld and at Crow Tree Farm have not yet been approved. The YDNPA stated it had now asked the Home Office’s agents to amend the application for Crow Tree Farm to a slim lattice tower design. And Mr Sunak said that the Home Office has confirmed it will make a fresh application for that at Seal Houses Farm for a mast which will carry commercial operators’ equipment. YDNPA Head of Development Management, Richard Graham, said: “The Authority’s policies recognise the masts as ‘essential infrastructure’. It has been our job to work with the Home Office and EE to make sure the masts are designed and sited in such a way as to bring about maximum benefit while minimising their visual impact where we can. “Much of the public debate is about whether the masts should be lattice towers or monopoles. Towers have a clear advantage, in that they are big enough to be shared by other commercial operators. But two linked considerations count against them. First, all the evidence suggests it is highly unlikely that other telecoms companies are going to want to step in to use these masts – because it just isn’t commercially viable for them to do so. Second, lattice towers have a greater impact on the landscape than monopoles. He has pointed out that, due to its location, the mast at Birkdale would not provide coverage for the communities of Upper Swaledale.